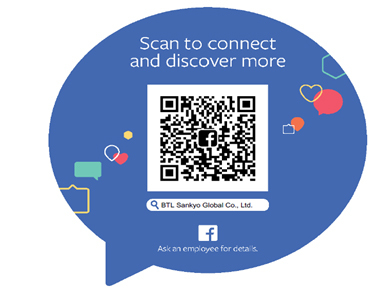 News - BTL Sankyo Global Co., Ltd. In our page, you can check our operational activities or corporate events on time. As one of our cross-border service, we regulary have an in-transit cargo. 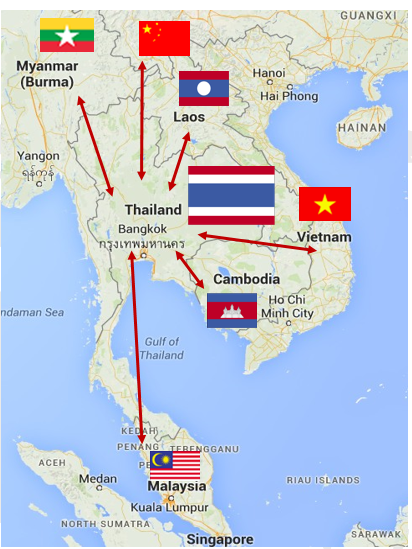 "In-transit" means transit from/to overseas via Thailand. We arrange from door to door via Thailand with neighbouring countries by sea & air. For example, we'd like to introduce the case from Laos to Japan via Thailand. - All documents show that it's in-transit cargo. - Shipping mark on documents is matched with actual cargo. *Regulation may change. Please cross-check with us when you have cargo. 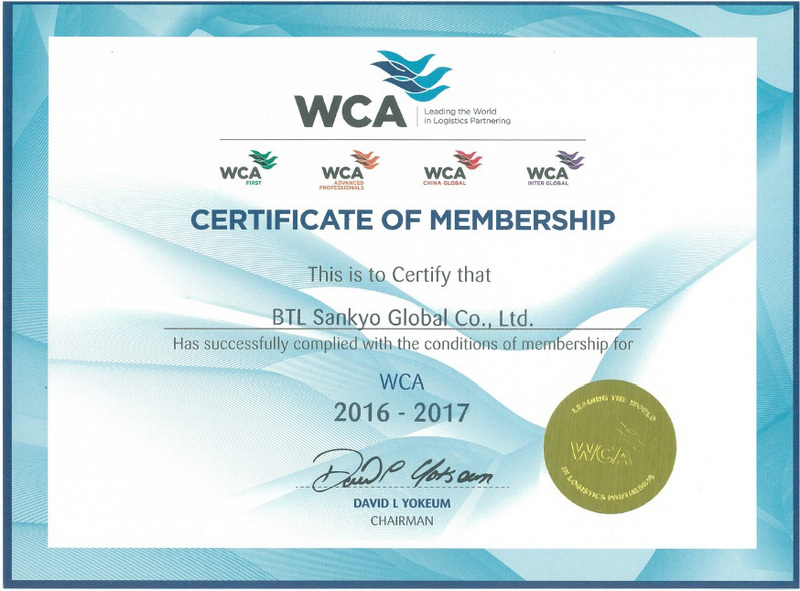 In May 2016, BSG proudly joined WCA. 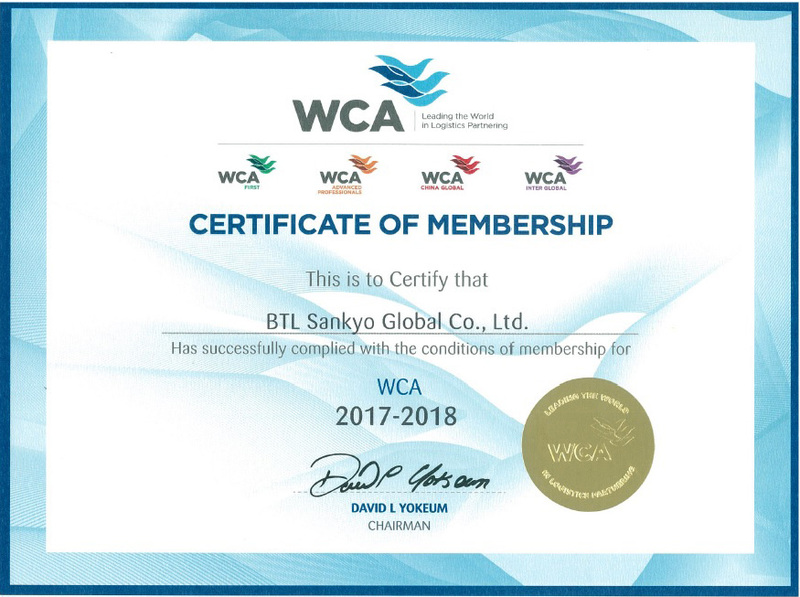 WCA is an international freight forwarder's network with over 6,000 members. It has an unique transaction system to protect member's transaction safely. Also, its protection program ensures WCA administration team to follow up claims and overdue. 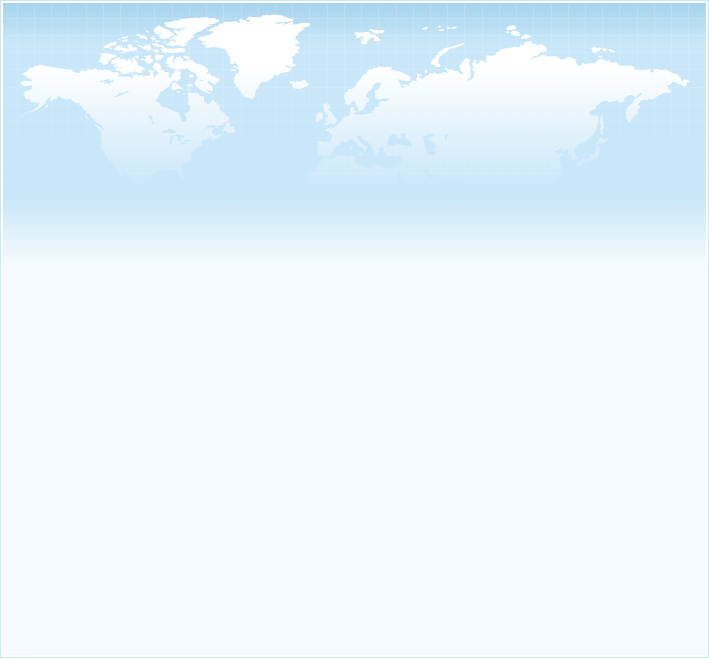 It made BSG to expand overseas agency network firmly to assist various clients' requirement.